FREE DANCE CLASS TASTER SESSION! 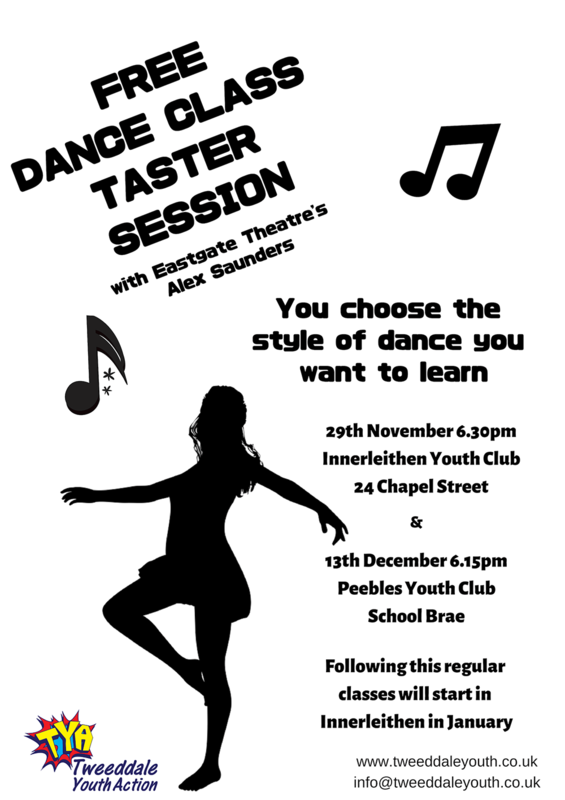 TYA are holding two free Dance Class Taster Sessions with Eastgate Theatre's Alex Saunders. You choose the style of dance you want to learn! 29th November 6.30pm at our Innerleithen Youth Club, 24 Chapel Street 13th December 6.15pm at our Peebles Youth Club, School Brae Following this regular classes will start in Innerleithen in January Come along and see what it's all about!